Svetlana Fialová (SVK) - K.A.I.R. Svetlana Fialová (* 1985) works and lives in Košice, and she’s going on a 2-month residency stay in Youkobo Art Space in Tokyo, Japan. She studied at the Academy of Fine Arts in the Painting Studio II of Vladimír Skrepl and in 2015 completed her doctoral studies at the Academy of Fine Arts in Bratislava. During her Ph.D. studies, she took part in the ERASMUS internship at the Red Gallery in London. 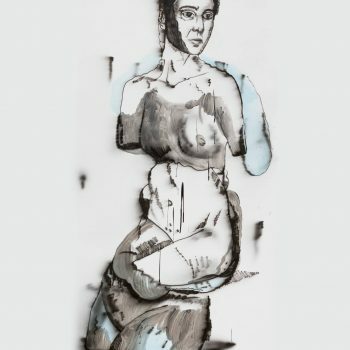 Fialová is a laureate of the Jerwood Drawing Prize 2013, and a finalist of the Critics Award for Young Painting in the Czech Republic, VUB Painting of the Year 2012 and 2015, and Novum Foundation Award 2016. She has held solo exhibitions in Paris, Vienna, Prague, Bratislava. In her practice, she works with various media, but most often uses drawing and linocut. Although mainly dealing with her own stories and personal experiences, issues such as independence, autonomy, and power games in different communities and social groups have recently come to the thematic foreground. 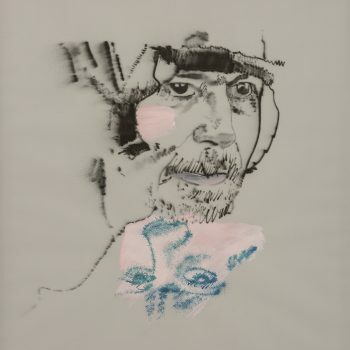 Fialová is particularly interested in specific ‘borderline’ situations where tension and purposeful behavior meet with a desire for connection and cooperation. The reflection of this dynamic can also be observed in contemporary pop culture. In her work, pop cultural inputs are often the subject of irony, but she acknowledges that they have a special quality and common impact in the form of an attractive shortcut. Motives are reflected and mixed into complicated compositions with strategically disrupted perspective, composition, color; deformed figures and lines. The residency program is supported using public funding by Slovak Arts Council. The stay is also supported by Creative Industry Košice. The residency is organized in cooperation with Youkobo Art Space.